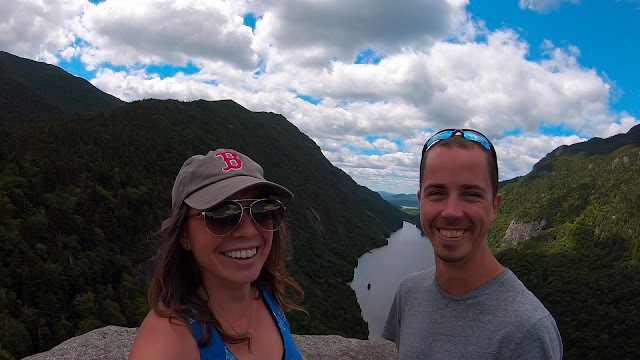 With all the New England summits down, I am excited to start expanding my "hike list" outside of some of New Englands famous high peaks. 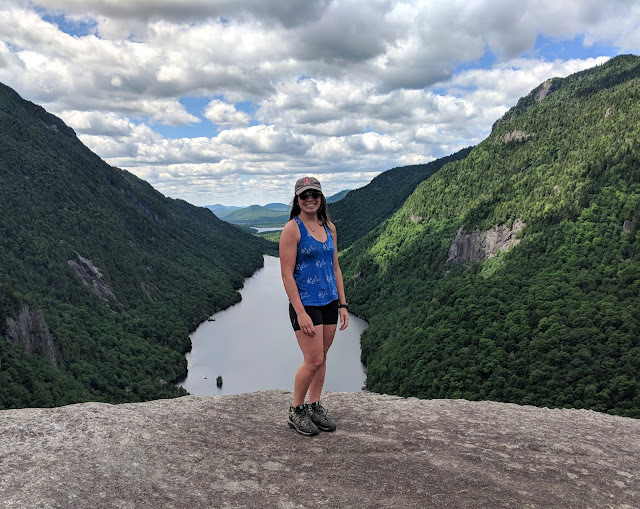 Don't get me wrong, I loved standing at the top of Kathadin (ME), hiking the 13 mile loop around Greylock (MA), following the AT to the top of Bear Mountain (CT), seeing the fall foliage on Mount Mansfield (VT), and tackling famous Mount Washington (NH). 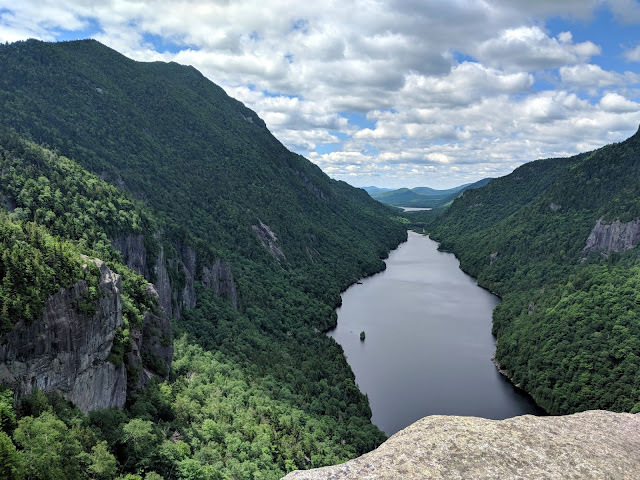 But I was excited to escape New England for a long weekend in New York to see what hiking the Adirondacks was all about, to see a part of this big state outside it's famous city. 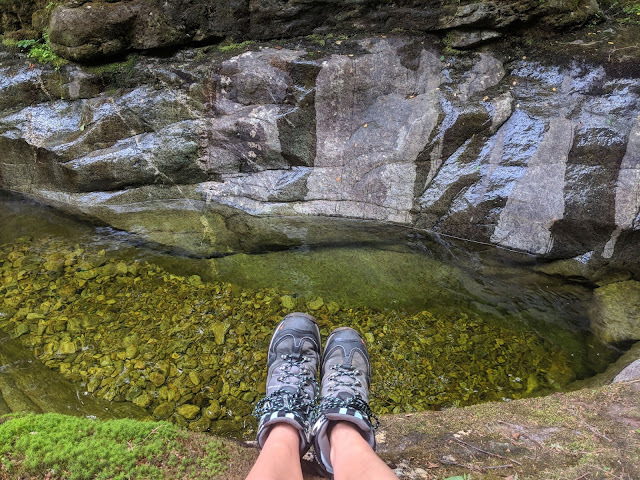 Before I left for New York, I sent out a "call to action" for a list of everyone's favorite hikes in the area. 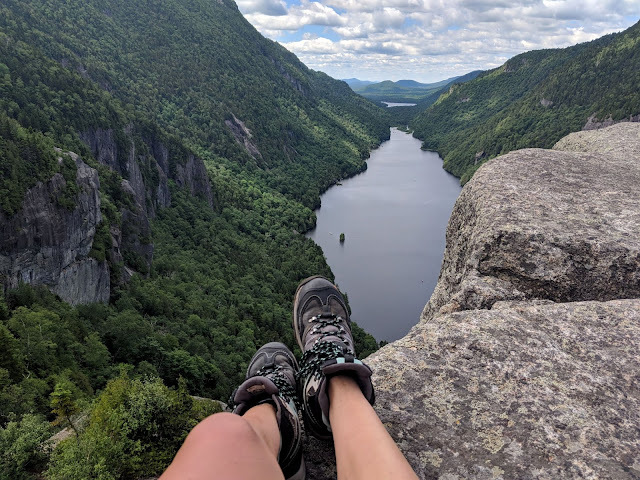 Google provided me with some pretty good options but when a friend posted on instagram about her favorite hike in the entire northeast which just happened to be in the Adirondacks, she caught my attention. 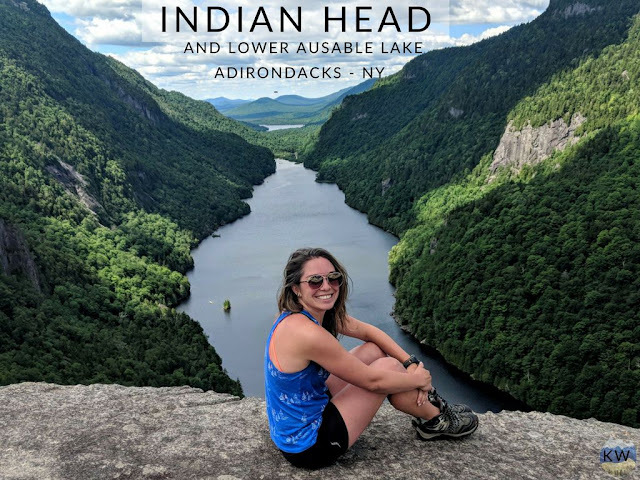 I changed my google search to scour the internet for pictures of somewhere called "Indian Head". What came up on my screen was one of the most beautiful overlooks I have seen here. 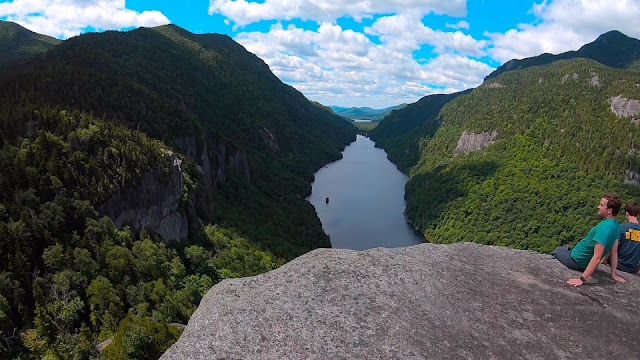 It was a large rock cliff hovering over charming Lower Ausable Lake where you could take in the amazing view of the High Peaks Wilderness and the iconic lake below. All it took was a few photos of this spot and my Saturday was planned in the land of no cell service, following pristine streams and wooded trails to this amazing vista. 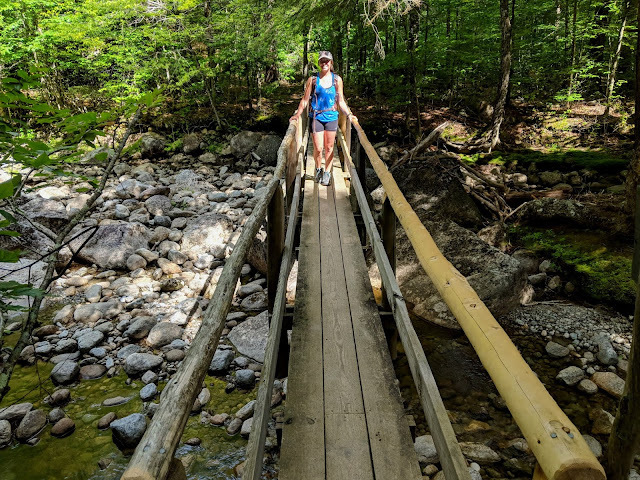 This hike quickly stole the top spot for one of my favorite Northeast Hikes (currently tied with Franconia Ridge in the New Hampshires Whites). 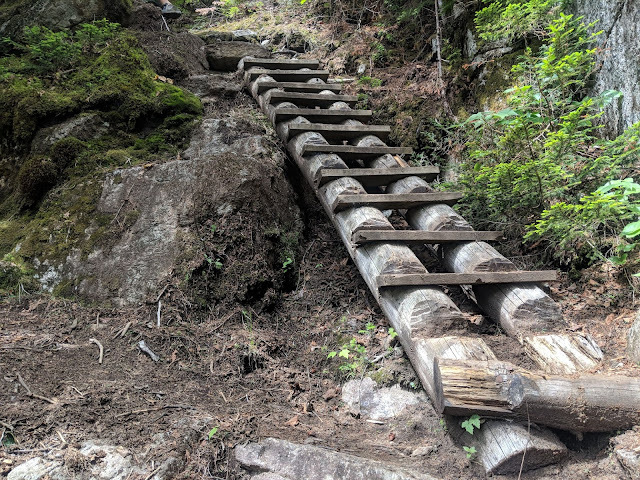 If you are looking for a moderately difficult trail (easy to follow, mostly up a dirt road with a steep section at the end), with a longer distance clocking in at 10 miles round trip, then this is a great hike for you. The trail follows a beautiful brook before eventually reaching this insanely photographic overlook. Even though the parking areas were crowded, there are many trails in the area and you can still find solitude on this hike. The longer distance means this hike isn't for everyone. Even on a fourth of July weekend, we shared the overlook with just a few other people and the trail was quiet. If you are a member of the Ausable Club, you can take the shuttle bus up Lake Road and just hike the last mile + to the summit. 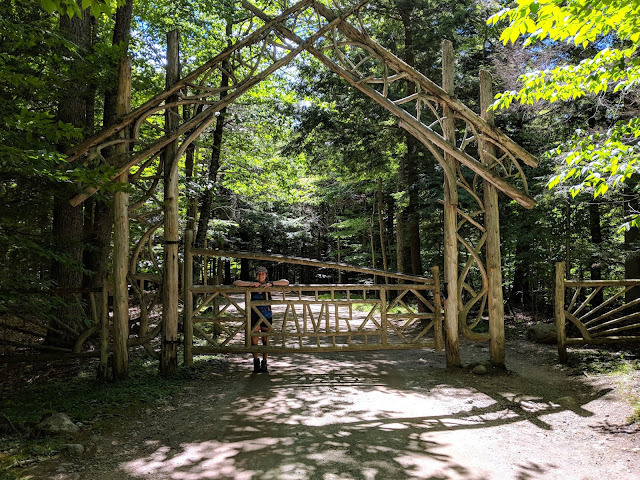 If you are not a member of the club, you will have to hike up the dirt road or along one of the scenic side trails (definitely take the Gill Brook trail). My friend Ryan also came up to hike with me and we both considered this to be a top 5 hike fo the area. 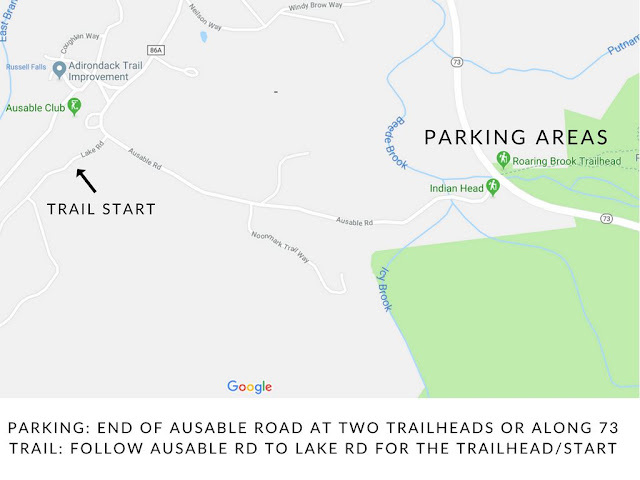 Parking: Lot off of Ausable Road or trailheads/parking areas along Route 73 - you will have to walk about 3/4 of a mile to the trailhead. Parking at Ausable Club by the trailhead is for club members only. Everyone must hike from the parking area and no drop offs or pickups at the TH are allowed. Red Tape: These trails begin on Private Land. 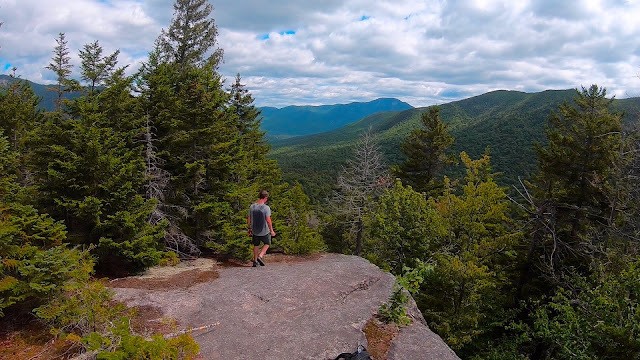 The The Adirondack Mountain Reserve (AMR)/Ausable club land encompasses Both Upper and Lower Ausable lakes and the surrounding land area. AMR is private land, but New York State has negotiated an easement allowing the public to hike on the property. 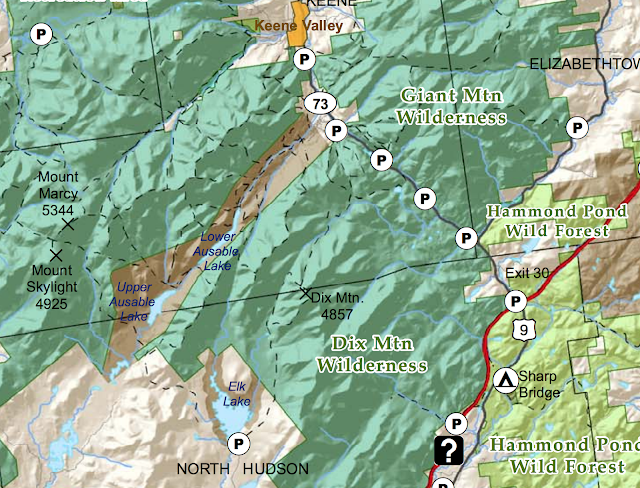 Note: You will have not have any service on this hike or anywhere near the trailhead. Plan accordingly. 1. The main parking lot fills up fast. By 9am we had to park along the road off Route 73. It seems that most of the parking is likely for other trails. While it all fills up fast, there are a lot of options for parking. 2. While there are no official trailhead bathrooms, there are port-o-johns by the Ausable Club. 3. The hike starts walking along paved Ausable Road before following the dirt road Lake Road. Just before Lake Road, you will see a wooden trail register where you can sign in and see the map. You will also see a fancy gate marking the beginning of the trail. The dirt road was an easy walk up the mountain (albeit it long, over 3 miles). Be aware that there are shuttles coming up and down the road, bringing members to the Ausable Club canoe house. This service is for members only and you will have to walk the dirt road to the wooded trail. 4. This area does see high bear activity. Carrying a bear bell and bear spray is always a good idea. It is also good to hike with someone or in a small group for noise. If you are camping overnight (which is not allowed in this particular area), make sure all your food is in a canister and out of reach. New York State law states that, “during the period April 1 through November 30, no overnight camper in the Eastern High Peaks Zone shall fail to use bear-resistant canisters for the storage of all food, food containers, garbage, and toiletries.” Long story short is the more successful attempts that bears have at stealing hikers food, the more human bear interactions there will be. 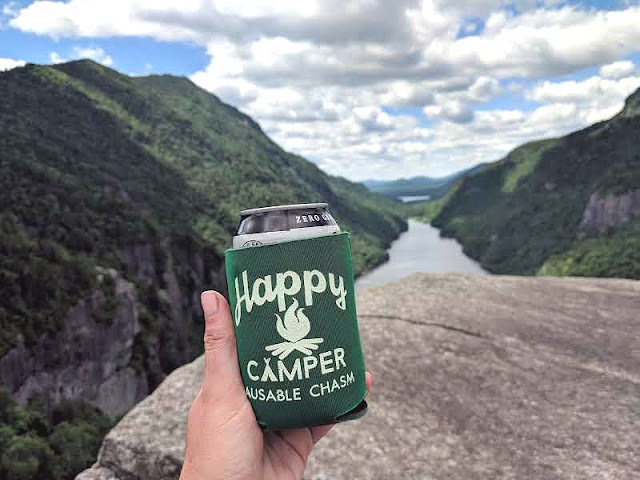 Keep New York "wild" and use a bear canister for overnight trips in the High Wilderness. I even use these bear bags for day hikes. 5. You have the option to do this as a sort of "loop". About halfway up the road, you will see a trail for "Gill Brook". 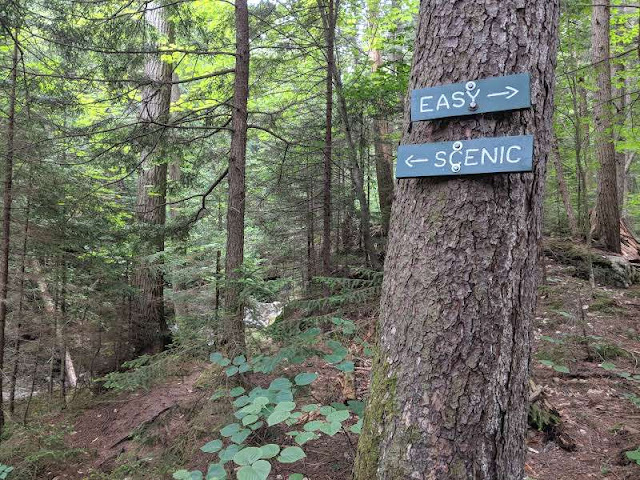 Take this left and follow the very scenic trail along the brook until the you reach the signs for "Indian Head". From here, it is 0.7 miles of steep climbing along the trail to reach the summit. You will see a sign for Fish Head cliffs if you feel like taking a detour (short, but steep) which offers a side view of Indian Head. 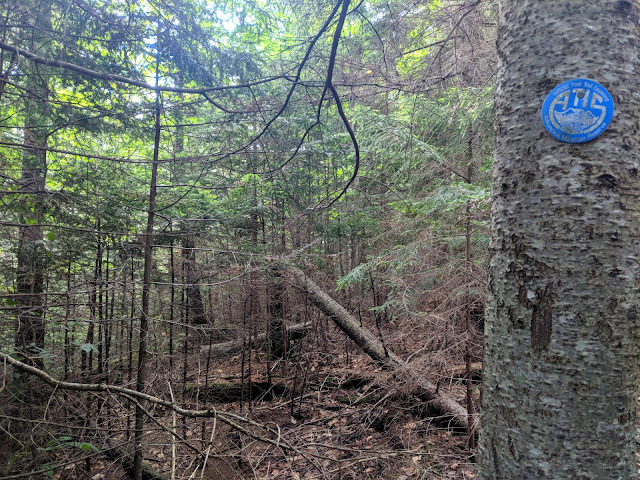 When returning down the trail, you will need to follow the 0.7 mile steep section out and then you can choose to make it a loop, following the road all the way down, or return on the Gill Brook Trail. 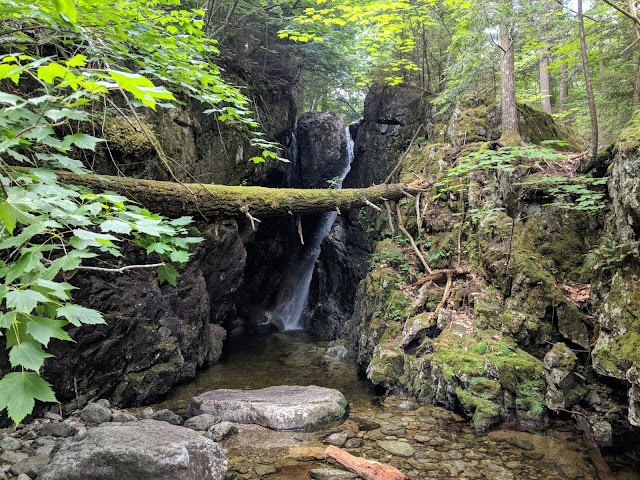 I highly recommend taking the Gill Brook Trail up as we were smitten with the scenic waterfalls and pools along the trail. 6. 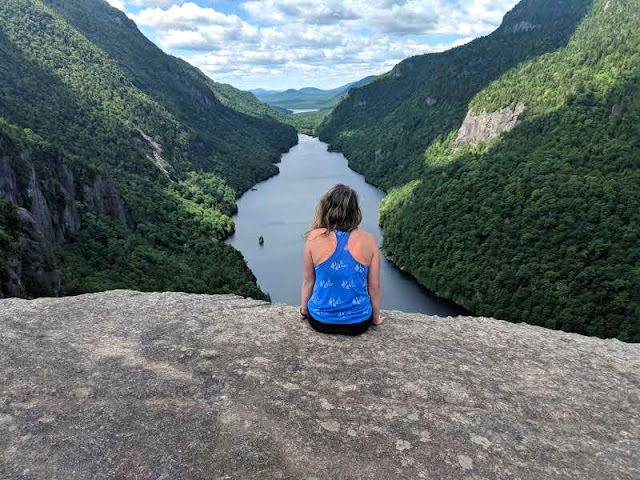 We skipped Fish Hawk Cliffs and went right to Indian Head and even on a sunny Saturday on 4th of July weekend, there were few people at the summit and we had no problems finding a spot to rest with amazing views and our share of photo ops with the view. 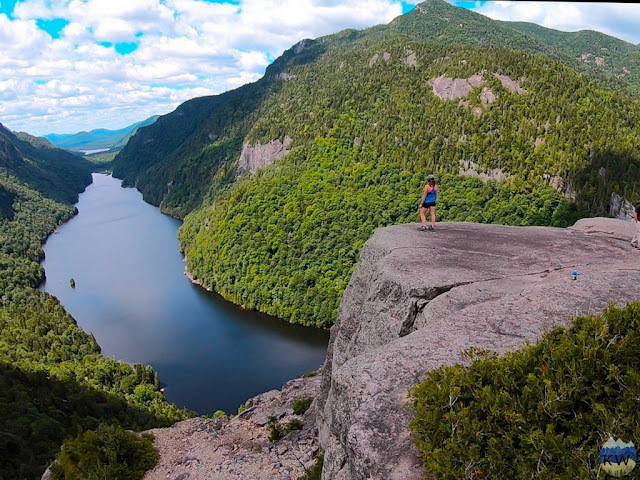 From the top of the rock, you can see an amazing view of Lower Ausable Lake. You an spot canoes down below departing from the Ausable Lake boat house. 7. 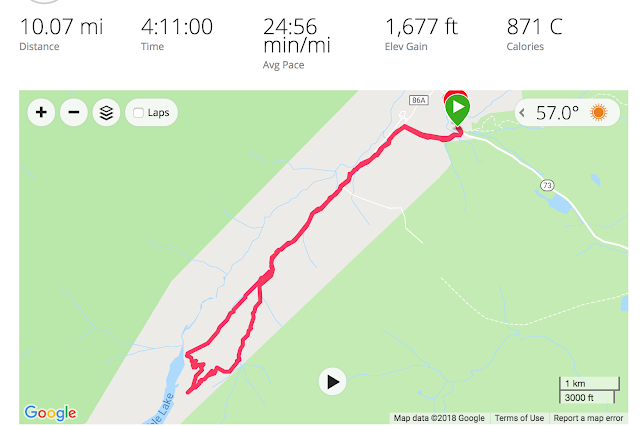 I wore my hiking boots with ankle support and I was glad I had them in some of the rockier steeper sections of the trail. I also filled my bag with 2 liters of water, packed a lunch, and snacks. I always carry a first aid kit, my Garmin GPS, my cell phone (no service here), a whistle, sunscreen, chapstick, and a few other essentials. Made it to the overlook! Thank you, New York for showing me how beautiful your pristine lakes and streams are. The landscape was stunning and the quietness of the area is hard to describe. Some of these spots are well kept secrets and it was nice to experience this part of the northeast I had not visited yet. Whenever I travel I always do the "could I live here" test and this part of New York passed with flying colors. Quiet, Idyllic, and so darn Scenic. 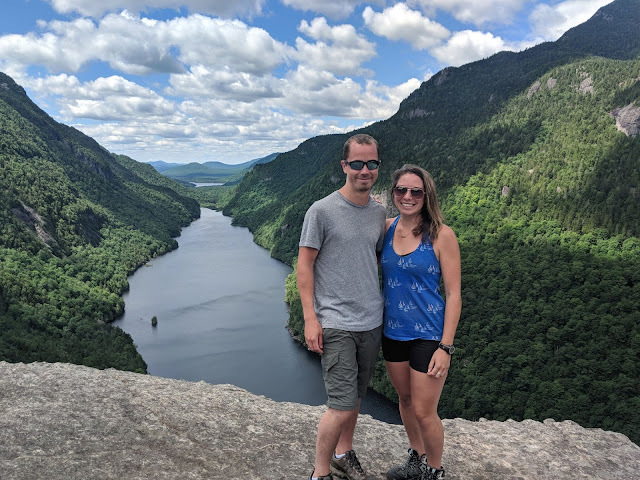 I loved the Adirondacks and I am already planning my trip back. 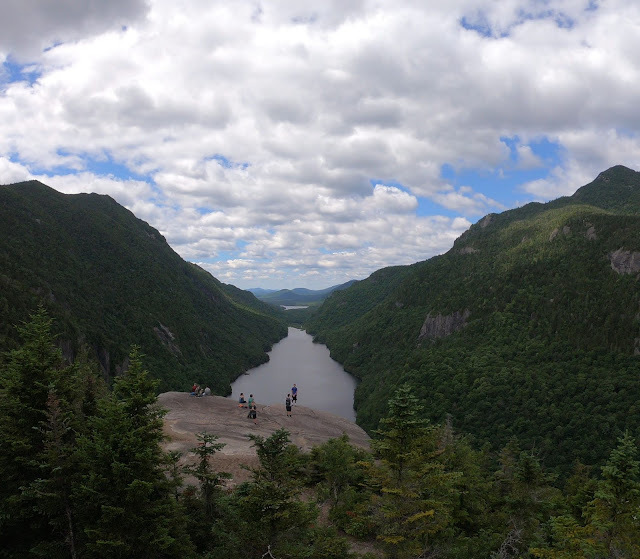 Check in later in the week for more Adirondack posts.